THPBlog: Sierra Pacific Industries to clearcut near the town of Mad River and Highway 36. Sierra Pacific Industries to clearcut near the town of Mad River and Highway 36. This THP is about 7 miles SW of the town of Mad River and Highway 36 at an elevation of 2,840 to 4,040 feet. 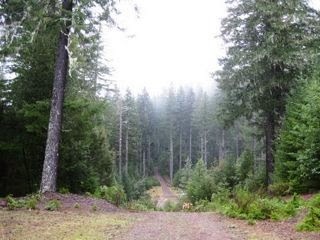 Sierra Pacific Industries is planning a mostly clearcut tractor and cable logging operation in Douglas fir forests. The THP area flows into the Van Duzen River .5 miles away which is listed as impaired for sediment and siltation. 26 road drainage sites are planned for work including rocking, dip construction, culvert repair/replacement and road bed stabilization. Howell’s montia was located along several roads within the THP area, and clustered lady’s slipper and Humboldt mule ears were found nearby. More information is available on the THP Tracking Center website.